Spend the summer on the Costa Brava and soak up the Spanish sunshine. With a plentiful supply of beautiful beaches, music festivals, flavoursome local food, and picture-perfect villages, it’s no surprise that visitors flock from far and wide to uncover the delights of the Costa Brava. Say summer on the Costa Brava, and the first thing that springs to mind is the breathtaking beaches that line the coast of this north-east region of Spain. From the Del Cau cove in Tamariu to the Illa Roja cove in Begur, with Boadella beach in Lloret de Mar and Port-Bo beach in Calella de Palafrugell in between, there’s no shortage of beautiful spots. Whether you’re looking for a romantic little cove adorned with a backdrop of coloured rock, or a stretch of sandy beach contouring a quaint Spanish village, the Costa Brava can deliver. Next up on the list of Costa Brava’s attractions are the beautiful local villages. There are plenty to choose from, but if you don’t have time to see them all, make sure you visit the fishing town of Cadaqués on the Cap de Creus peninsula. It inspired some of history’s greatest names, like Salvador Dali, who loved the town’s architecture and friendly atmosphere. Calella de Palafrugell is another Costa Brava must-see. It is unmistakeably Mediterranean, with houses built facing out to sea and little fishing boats in the harbour. Another one to add to the list is the mediaeval village of Pals, with its cobbled streets and craft shops. But, of course, these are a mere handful of suggestions. There are so many more we could add, such as Portlligat, Empuriabrava, Peralada, Begur or Monells. Summer on the Costa Brava is synonymous with music. Choose from a whole host of different festivals, ranging from pop to lyrical art. Music fans of all tastes and ages will find a music event to their liking. The Castell de Peralada festival is held in and around the castle and its grounds, and is a must for fans of lyrical music, opera and dance. Meanwhile, pop lovers should head to the Cap Roig music festival featuring well-known artists. This year’s line-up includes Ben Harper, The Pretenders and Norah Jones, in among local singers like Miguel Bosé. The Costa Brava has fabulous food, ranging from traditional local dishes to more creative cuisine. 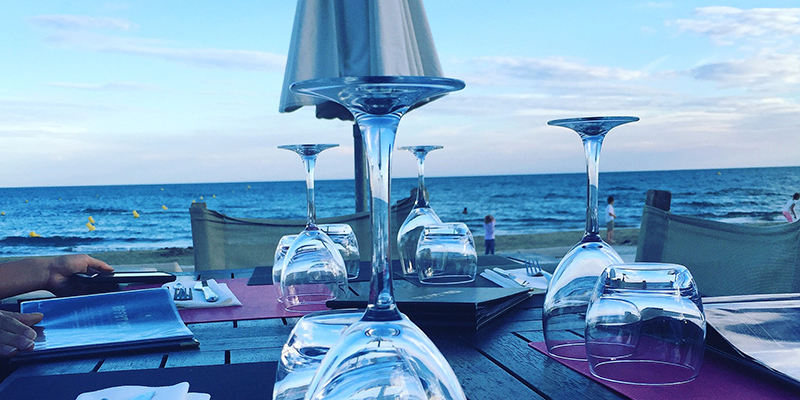 Some amazing restaurants worth noting are El Celler de Can Roca, run by the Can Roca brothers in Girona; El Bulli de Ferran Adrià in Roses; and Casamar in Llafranc. Let’s not kid ourselves, one of the irresistible pulls of summer on the Costa Brava is the great weather. Sun-worshippers can laze around in the Spanish sunshine, while more adventurous types can opt for swimming, water sports, hiking or playing golf. To make your stay really special, choose a beautiful luxury villa in Spain from Chic Villas’ handpicked selection, with all the facilities you need for a great holiday with family or friends.